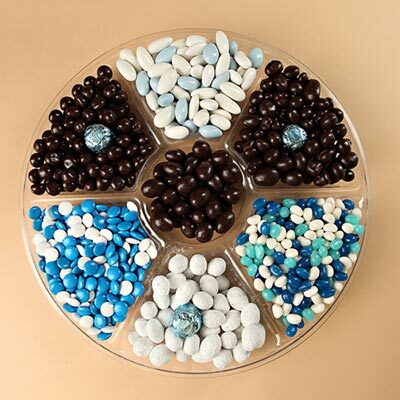 Sweets to Nuts offers a large selection of kosher Bar Mitzvah candy in New Jersey. 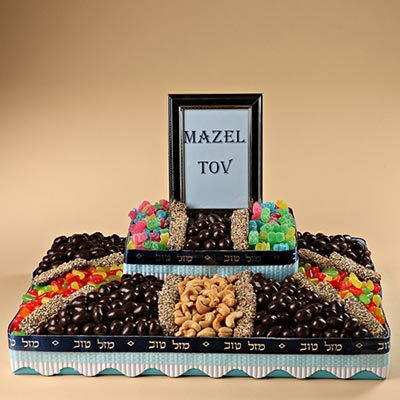 Celebrate the Bar Mitzvah with our beautiful and delicious Bar Mitzvah gift basket arrangements! 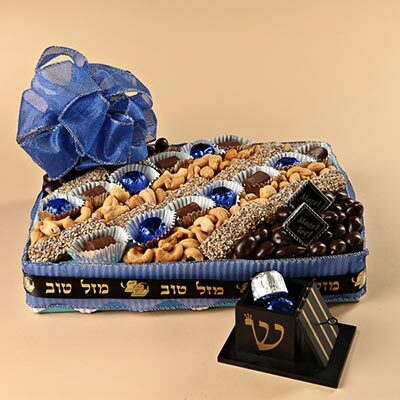 Whether you’re looking for Bar Mitzvah gifts or Rosh Hashanah and Succos gift baskets, you can count on us make sure your celebration has the most delicious treats. Mazel Tov! 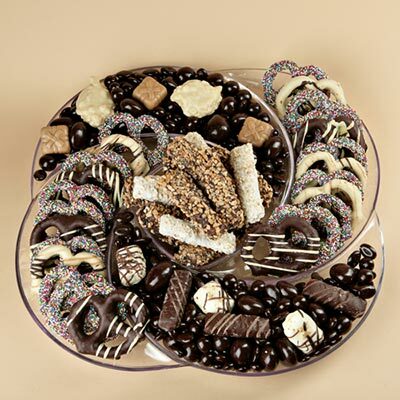 An indulgent display of fancy chocolates, truffles, Viennese Crunch and nuts to celebrate ! 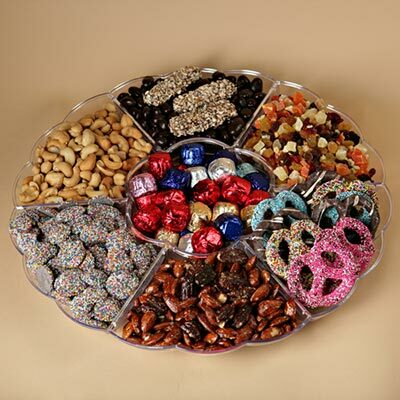 This will wow everyone and will beautifully adorn the table. 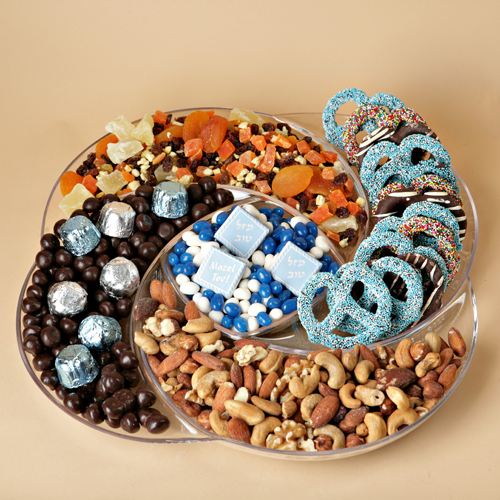 Bar Mitzvah Pinwheel - Free shipping! 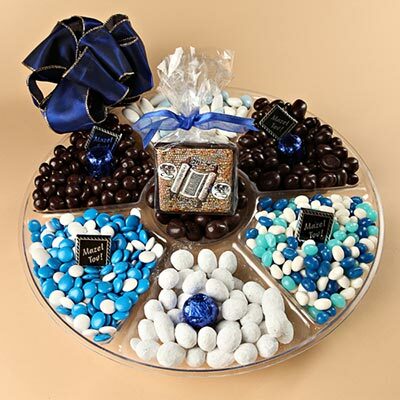 A very large platter filled with blue and white chocolates, white powdered toffee almonds, jelly beans, jordan almonds topped with foiled chocolates makes this gift a popular favorite. 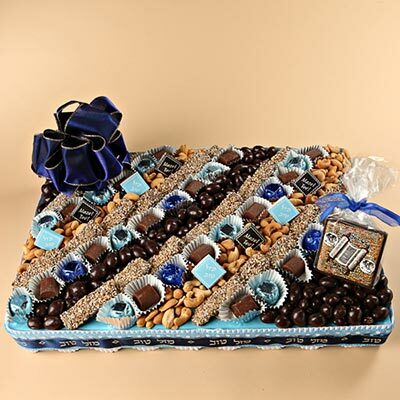 An extravagant two tier display filled with chocolates, cashews, sours, Mike and Ikes, Viennese Crunch and topped with a beautiful picture frame and beautifully wrapped in cellophane and a big bow. Makes a beautiful centerpiece! Local delivery only. 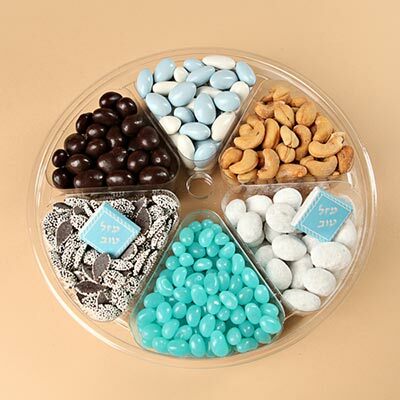 A platter with a variety of 6 choices to enjoy including white dusted almonds, dark chocolates including nonpareils cashews, jelly beans and jordan almonds. A nice selection! 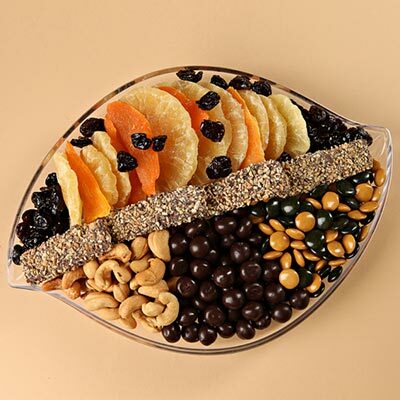 A lovely platter a delicious mix of mango, pineapple and other dried fruits plus dark chocolates, cashew, coffee lentils and topped with Viennese Crunch.